All too often, senior reservoir managers have found that their junior staff lack an adequate understanding of reservoir management techniques and best practices needed to optimize the development of oil and gas fields. 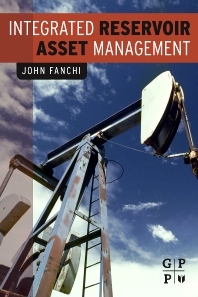 Written by an expert professional/educator, Integrated Reservoir Asset Management introduces the reader to the processes and modeling paradigms needed to develop the skills to increase reservoir output and profitability and decrease guesswork. One of the only references to recognize the technical diversity of modern reservoir management teams, Fanchi seamlessly brings together concepts and terminology, creating an interdisciplinary approach for solving everyday problems. The book starts with an overview of reservoir management, fluids, geological principles used to characterization, and two key reservoir parameters (porosity and permeability). This is followed by an uncomplicated review of multi-phase fluid flow equations, an overview of the reservoir flow modeling process and fluid displacement concepts. All exercises and case studies are based on the authors 30 years of experience and appear at the conclusion of each chapter with hints in addition of full solutions. In addition, the book will be accompanied by a website featuring supplementary case studies and modeling exercises which is supported by an author generated computer program. Dr. Fanchi is a Professor in the Petroleum Engineering Department at the Colorado School of Mines. He has B.S., M.S. and Ph.D. degrees in Physics from the Universities of Denver, Mississippi and Houston, respectively. He has worked in the technology centers of Getty Oil Company, Cities Service Company, and Marathon Oil Company. His engineering activities have revolved around reservoir modeling, both in the areas of simulator development and applications. In addition to being the principal author of the US Department of Energy simulator BOAST and its successor BOASTII, he has performed development work on compositional, electromagnetic heating, chemical flood, and geothermal simulators. His reservoir management experience includes project leadership or significant participation in studies of oil, gas and condensate fields in the North Sea; offshore Sakhalin Island, Russia; the Gulf of Mexico; and in many parts of the mainland US. These studies include preparing models of primary, secondary, and improved recovery applications. Dr. Fanchi has designed and taught courses in applied reservoir simulation, waterflooding, reservoir engineering, natural gas engineering, black oil simulation, compositional simulation, and history matching. His previous publications include several articles and three books, including Principles of Applied Reservoir Simulation (Gulf, 1997) and Math Refresher for Scientists and Engineers (Wiley, 1997). "I am establishing a research and development program that seeks to optimize the tools used by society to fulfill its responsibility as custodian of the earth's natural resources. I am interested in working with people who want to improve the ability of simulators to accurately model physical processes and make predictions." Dr. Fanchi lives in Golden with his wife and two sons.